I recently wrote an article entitled “Is It Time to Change Your Marketing Strategy for Social Media” which seem to get quite a decent response online. So, I thought I’d go one step further and explain in a bit more detail exactly what I’m looking to do and why I’ve decided to go down this path. That’s the great thing about being an entrepreneur – actually having the balls to test things out with the possibility of things going dramatically wrong. I’m going to use this blog post to chronicle my journey. I’ll be making the change from relying on social media for traffic to my website using a multi-prong strategy of hitting specific platforms with different types of content. So to give you a backstory: The vast majority of marketers (including myself) have been using social media to send traffic back to our websites and landing pages for quite a few years now with really great success. In the last 6 to 9 months, the vast majority of the platforms have decided to concentrate on content that keeps their users on their platform so they can show them advertising. In order to do this, the likes of Twitter and Facebook are, in effect, downgrading content containing an external link (i.e that links to a website URL). They all do this in different ways but the more relatable example is the way Twitter does this. If you post content on Twitter via text and without a link, Twitter likes this and has no problem showing your tweet high up in somebody’s feed. Better still, if this tweet gets a lot of engagement initially, even more of your followers will see this. I’m not an expert in the other channels but each has there own variation of this to some degree. Because of this change, as I outlined in my previous article, I personally needed to make some changes to the way I market my business and that of my clients. As you can appreciate, my strategy for this is going to change from time to time, so I’m going to use this article to chronicle my journey into the unknown. I could have made my own private journal and noted in it from time to time for my eyes only but I thought it might be helpful for others to see the changes I’ve made. Maybe it could help them make similar changes to the way they market their business. Accompanying this article, I produced a basic mind map of how my strategy is going to change. It’s not going to win awards but it explains to me in really simple terms exactly what I’m going to do. I’m also going to slightly change the type of content I’m going to publish going forward. 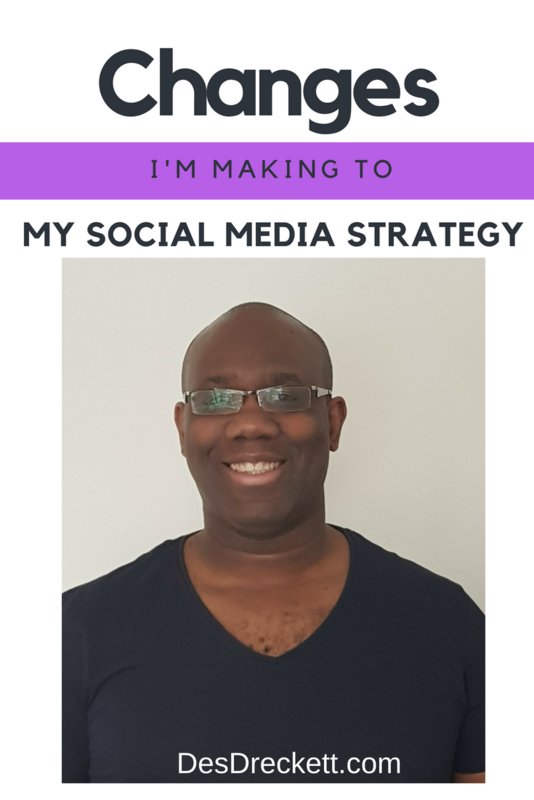 In the past, I’ve talked a lot about social media and what I’ve been doing to harness these great platforms, but it seems that everybody is an expert and people are even running courses in my local neighbourhood about how you can use social media for business. However, when you look at their social media profiles, they’re not really doing anything and getting minimal engagement. I suppose, in real terms, social media is the low hanging fruit that keeps changing and most businesses don’t really know what they’re doing – it’s really easy to call yourself an expert, but what it essentially means is this: knowing more than the next person. What normally happens with new fads is; you get quite a lot of people jumping on the bandwagon trying to monetize most people’s ignorance. Because of this, I have decided to do less content about social media because the space is far too crowded for me and most businesses can’t work out who is the professional and who isn’t. 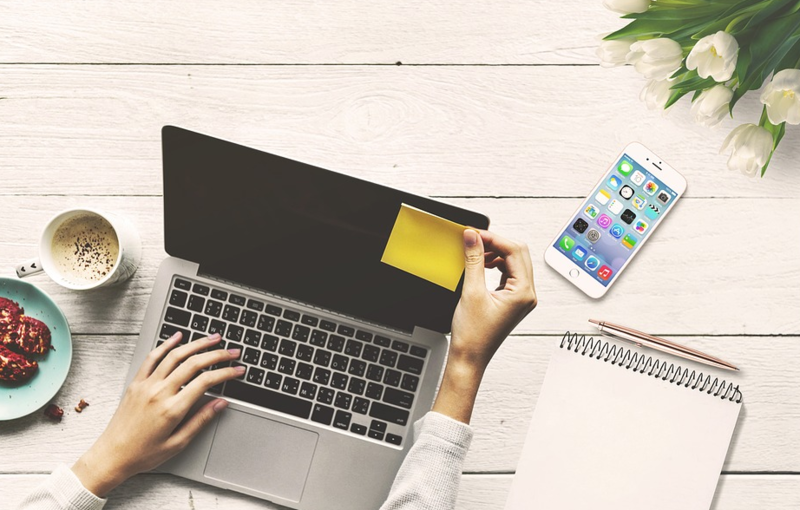 This is going to be a big problem in the future – it’s one of the main reasons I have switched tack and am going to concentrate on my journey and that of others doing digital marketing online. Below is the infographic that I talked about earlier using my Mindmap. In this article, I’m simply going to go through this infographic point by point and explain the reasons I’m doing it in this way. I’ve colour-coded it, not because I like fancy colours but to highlight exactly which ones are the most important. Firstly, I’m using blue as the primary colour. These nodes are the foundation of my strategy which means they are the most important! Secondly, we have the yellow colour. These nodes are important, but obviously not as important as the primary nodes. Then lastly, we have the colour orange which is basically just branches off the other two nodes – they are important but only really make up part of the strategy of the other two nodes. I suppose what I’m saying is, I can’t produce content for these nodes unless the first two are in place initially… I hope that makes sense? We’ll talk about the main part of the hub which is content marketing. 1.5.2 So, why is email marketing so important? 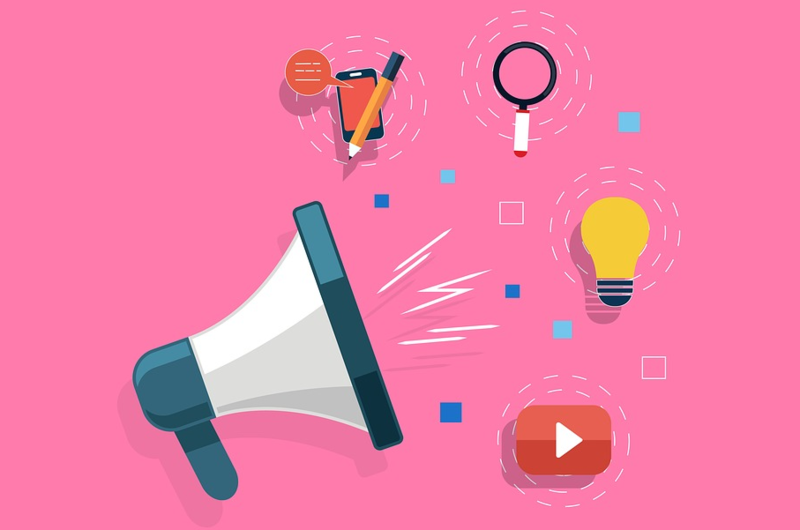 Content marketing has many different strands (far too many to talk about this article), but the main strands I’ll be using will be blogging, producing infographics and then using snippets of those for social media (called Micro Content). No matter what sort of business you are running, I believe your marketing should always start with a proper content marketing strategy. In my case, that’s going to be blogging. Just recently, I started a brand-new newsletter that goes out every Friday to my subscribers. I show them lots of tips and advice on marketing. This has forced me to up my game with writing content and I’m in the process of publishing a couple of articles a week. The articles are on mixed topics and vary in length from 1000 words to over 10000 words. The smaller 1000 word articles are pretty much content for my newsletter and will make up part of my micro content strategy of using snippets, images and infographics that will post to social media. The longer articles will also be used for my newsletter, however, their main use is for my SEO strategy. You see, the longer the piece of content, the better it will perform in the search engines. Don’t get me wrong, there are many other factors too but writing a long article is a fantastic foundation for SEO. In short, the search engines love them! 23rd March 2018 (update) – So, I’ve started to implement my content marketing strategy on this website by increasing the length and frequency of my posts. Encouraging results so far when looking at Google analytics (I’ll show some graphs in future updates). Note: The vast majority of my traffic is coming from “Twitter” and “Direct.” I don’t know where that direct traffic is coming from yet since I have only just installed Google analytics on here. SEO is going to be a big part of my plan going forward. It’s quite a complex and sometimes confusing element of digital marketing. Based on previous success with my other businesses, SEO is the cornerstone of my new marketing strategy. A lot of people call this FREE traffic and, to some extent, they are correct. It is free because these search engines send you traffic and don’t charge you anything for it, however, what it does cost you is the time it takes to produce content for the search engines. As you know, time is definitely not free and the amount of time you need to spend producing and optimising content is hard to put on a financial scale. What I can tell you is, it’s quite a lot! To give you an idea, I probably spend around two to three hours per day writing and editing content for my websites. If I was to put this into an hourly rate, it would be upwards of around $100 an hour for my time. That’s a pretty serious commitment for something you don’t see the rewards for until months or even years down the line. Due to my previous success, that’s why I’m going full guns with SEO. 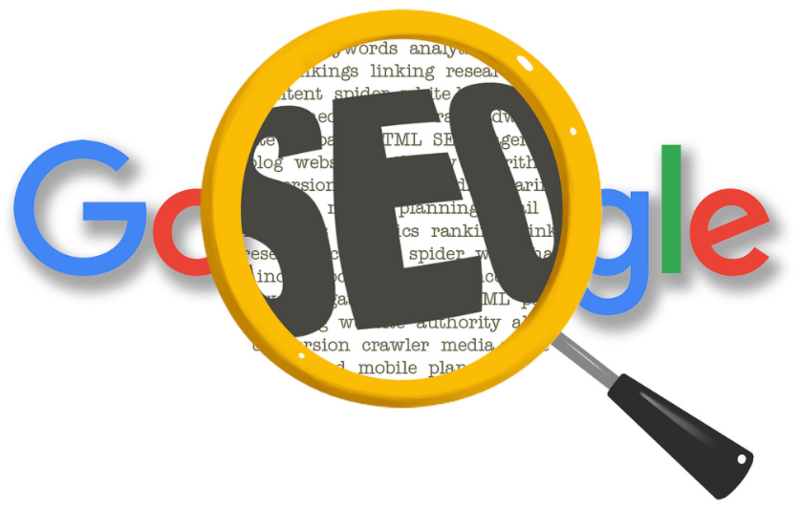 Also, with the new voice tech arriving in most people’s homes, by way of Alexa Echo and Google Home etc., you definitely need to be making SEO part of your marketing strategy. I’m specifically going to write for the Google search. It can’t be ignored that they are the largest search engine. Because of this fact, my content will be following their terms and conditions, rules and regulations. It’s not that the other search engines aren’t important, it’s just that Google is the 500lbs gorilla that needs to be fed with quality content. The term “blogging” is quite a broad one. In my specific case, I’m talking about writing articles and sharing them on social media. Even though the traffic has reduced quite considerably on social media, you still need to post your content on there to get the little bit of traction that you can. As I found out, continuously posting content with links really damages your social media accounts and the platforms aren’t likely to show your posts to your followers. So, I have decided to post most of my content as text on social media with the occasional article link to my friend’s articles or my own. I was previously sharing content from the likes of the Content Marketing Institute, Search Engine Journal and Inc. Unfortunately for them, those days are over I’m afraid because I need to really focus and dedicate my efforts to promoting my own content instead of somebody else’s. What I can do to get around this, though, is link out to articles I want to share in my own articles. You may have noticed one thing: these are platforms I own and have full control over. This means I can post exactly what I want, when I want, at a time of my choosing. 25th May 2018 (update) – Decided to set up a Medium account and have a play on there. Medium is a blogging platform where you have the ability to add your own posts and have the ability to be seen by their millions of readers. They have a cool import tool that allows you to import content from WordPress. They also include the use of canonical links to determine and prioritise the ultimate source of content. I’m not too sure how much traffic I’ll get, but I think it’s another way of introducing myself to a new potential audience. 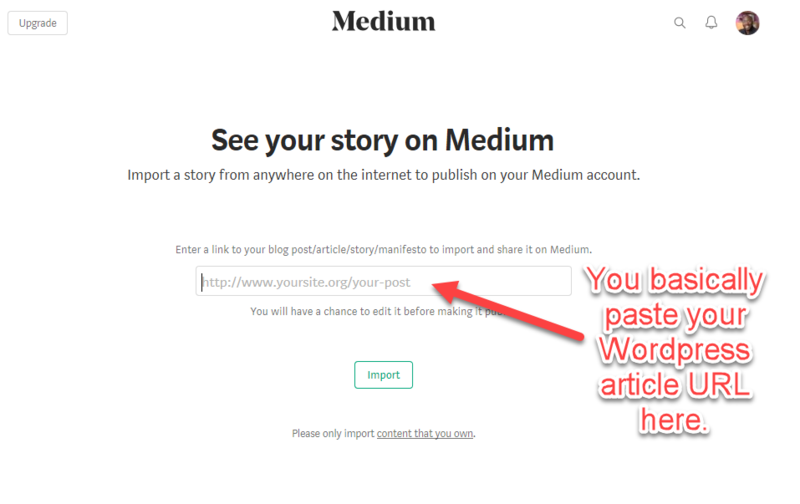 The image below shows how you import your WordPress articles into the medium platform. It’s a simple copy and paste. 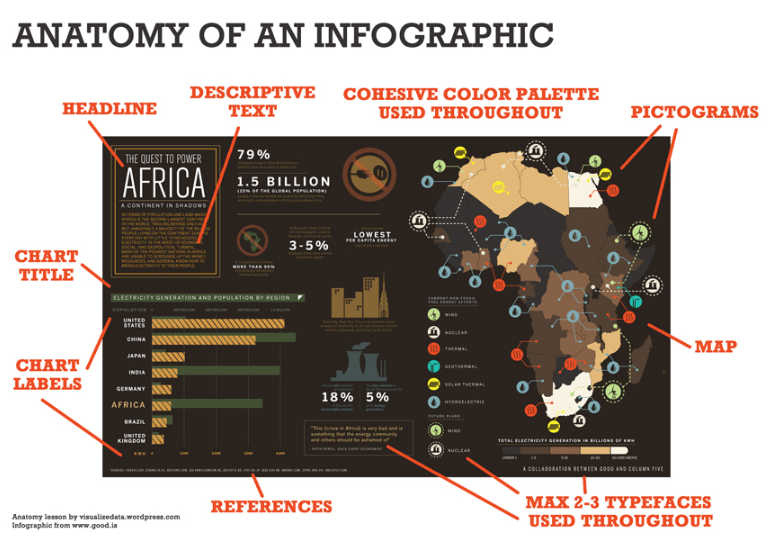 One traffic source that has been overlooked by the vast majority of people is infographics. I say “overlooked”, I suppose what I really mean is, can be bothered to do. Whether I’m producing these myself or I’m getting a professional to design for me, I’m going to be producing a lot more infographics in the future that will accompany my written content. Depending on the quality of the infographic, these tend to get shared a lot and is a great way of building backlinks to my articles and website which, in turn, is fantastic for SEO. 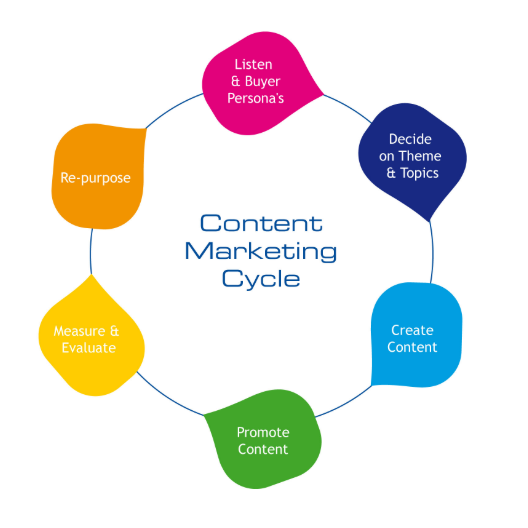 I hope you can see how using a mix of these content types drives traffic back to your website? These infographics can be used in my articles and can also be used for social media too. So, how do you get backlinks from an infographic? What happens is, if the quality of the infographic is good and you have publicised it well, it will get picked up by several other content producers. It will then, in turn, be used to produce more content. As a way of saying thanks for supplying that infographic, they insert a link. This link is a URL that points back to the original source (your website). As you can imagine; if you get several of these, it’s a good indication that this particular page is important based on social shares and the number of times people have used it online. In real terms, you are receiving a lot more traffic back to your website and it allows you to either remarket the traffic coming to your website or try to get them onto one of your email lists via a pop-up or a form on that page. What I like about this strategy is the fact that very few people are willing to go through the effort of producing these infographics. It’s mainly because they either take a lot of time or you have to pay a lot of money to get a decent one produced. I’m also going to have the exact same problems that I’ve just mentioned. But, I’m going to make a concerted effort to do this since the importance level is so high. 23rd May 2018 (update) – I use Canva for most of my graphics, but I’ve been kindly given a Free 3 month trial of Visme. Shall let you know how I get on. I produced my first infographic here (this took me around 1 hour to produce). If I’m really honest with you, I’ve been rubbish at YouTube marketing for quite some time. When I say rubbish, I’ve only used YouTube as a way to host my videos to allow me to embed them onto my website. I don’t know if you knew this, but YouTube is the second largest search engine on the planet? With that many eyeballs watching videos, you simply can’t ignore this as a major traffic source. What’s great about producing videos on YouTube is the way it slides effortlessly into your marketing strategy. * I’m going to start out producing small educational-type videos. * I’m going to separate the audio from the video and make it into an audio file. * I’ll either add this as part of a future podcast or I will take snippets from that audio and produce image quotes as part of my micro content strategy for social media. * I will in embed the video onto my website and produce a separate post based on that video content. * I will link to the video in my emails but I won’t send them to YouTube. Instead, I will send them to my website (this is an important point because you really want to try to leverage the social platforms for your own benefit rather than for the benefit of these). The mistake most people make is linking directly to YouTube – the problem with linking directly to YouTube is big – getting somebody to view more of your videos once they land on YouTube is close to impossible. Take a look at the way you use YouTube. With so much going on and literally millions of distractions, the likelihood is they will probably watch several other videos from other channels. * I’m going to share snippets of the video file on social media which will also make up part of my micro content strategy. It’s important to add separate subtitles to these clips since a lot of people will be watching these at work and won’t be able to turn the sound up. 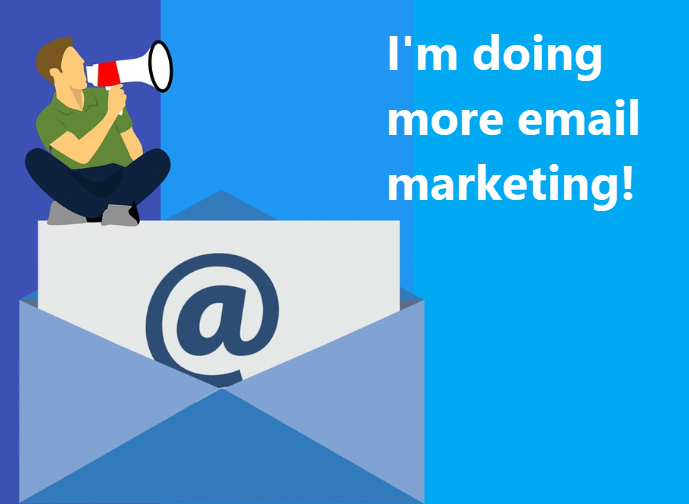 Email Marketing is going to be one of my primary ways of getting traffic back to my website. I’ve neglected this big-time in the past but, from now on, I’m going to make this a priority to do (I mentioned the Friday emails going out every week as an example of this). I’m in two minds whether to promote other writers and promotions on my email list. Not because I think it’s a bad idea, is just something I think needs testing before I do it. Getting somebody to sign up for one of your emails isn’t the easiest thing to do. For that reason, I don’t want to piss them off in any way so they unsubscribe, so there needs to be a certain level of educational content vs promotional content. The exact formula is a mystery to me and, like I said, it’s something I’m going to have to test in the coming months. For now, I’m literally just going to email educational content with a bit of humour to make things lighthearted for my subscribers. One thing I think is really important to do is segment my list. Hopefully, in future, I’m going to be writing about several different marketing topics with the realisation that not everybody will be interested in all of them. So, to deal with this problem, I need to segment my list so I’m only emailing content people want to see instead of content they don’t. This sounds really simple, doesn’t it? But, it’s something the vast majority of people don’t do and that’s why they have really high unsubscribed rates. I’m not a professional email marketer (far from it), but this is one thing I definitely know is factual and will affect how you grow your email list and how you keep people on it. My business case study as well as others. This is my personal online journey of making money and I will also chronicle examples of others doing the same. Twitter – I’ve become quite good at marketing on Twitter so I have a separate list just for those people who are interested in Twitter marketing. General – I’ve named this general but this is really just my regular Friday newsletter that goes out every Friday to everybody. My intention here is to email content that everyone will find useful. So, why is email marketing so important? Most people check their email daily. If you aren’t dropping into somebody’s email inbox at least once a week, you’re pretty much irrelevant. In fact, once somebody has signed up for one of your email lists, it’s really important to build a relationship with them within the first few days, then continue to email them on a weekly basis so they don’t forget you. This is a mistake I made when I first started email marketing and it’s one that’s cost me dearly. That’s one of the main reasons I decided to do a weekly newsletter because, in essence, it forces me to communicate with my subscribers on a weekly basis and hopefully build up some sort of trust and relationship. I’m not saying that this can’t be done on social media, it’s just that… emailing somebody on a weekly basis is far more effective than hoping and wishing they come back to your profile on social media. 23rd May 2018 (update) – Nearly finished my 7-day traffic course. This will be a 7-day drip fed course delivered via email with links to video presentations explaining how to get traffic back to your website. This will hopefully be the first of many drip fed courses. I like producing these types of courses because it allows me to keep in touch and build a relationship with new subscribers. I think that’s key for any new subscriber relationship. This is another, “when am I going to get the time to do?” I might dip my toe a little by using the audio from my videos to produce some simple podcasts initially. 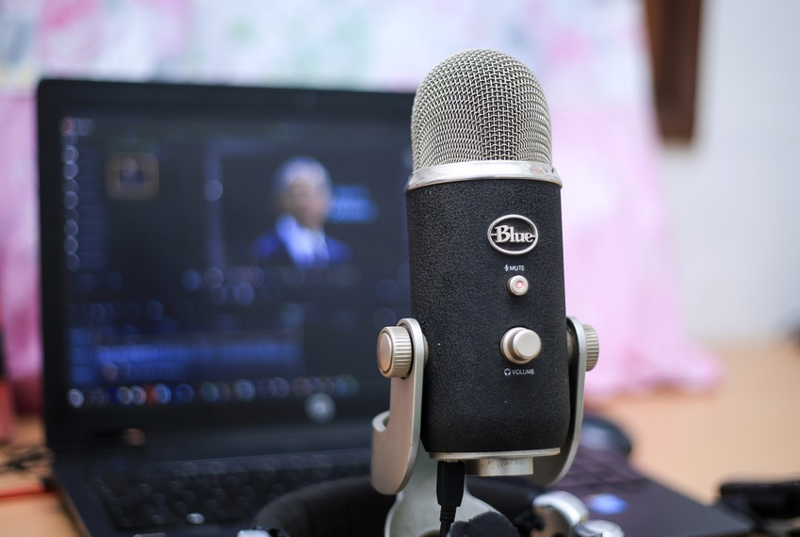 Podcasting is huge (particularly among the millennials). As a marketer, I feel you’ve always got to keep changing up your model and attracting new prospects, clients and also friends. It’s not going to be a major strategy initially, but hopefully, it will be in the future. For now, it’s not a priority. Obviously, I’ve talked a lot about social media in this article and so there’s very little to add here. The only thing I will say is, it’s not going to be as important a strategy as the ones I’ve talked about in this article. I think social media is going the way of paid marketing where, in order to get your content seen, you need to advertise. This is something I’m looking to do in the future but, for now, it’s not my main focus. I’m not saying I’m 100% right and these things will happen, but I think the changes I’m making now are changes the vast majority of marketers will need to make in the years to come. I just want to be on the upslope rather than the downslope. I’ve been really successful on Twitter and it’s the one true social media platform that really fits with my model. If you haven’t already noticed, I posted a lot of motivational and inspirational tweets. In between those tweets, I post a lot of my own content. This is with the hope of having the content be retweeted >> shared by the community >> sends traffic back to my website. I’m in two minds about Instagram and I’ll be honest, I haven’t really studied it that closely. So, for the time being, I’m going to use the micro content strategy and just post snippets of things on Instagram until I work out exactly how I’m going to use this platform. There are a lot of courses and a lot of advocates for Instagram but, from what I can see, I don’t really see that many businesses using it strategically. I see a lot of posts but I don’t see a lot of traction. Like I said, I haven’t looked at it that closely and it’s something I need to study in the future. I’ve been pretty nonexistent on Facebook and I’ll be honest, I’ll probably use it the same way I’m going to use Instagram and simply just post my content and my micro-content on there. The one difference I will probably make is by starting my own Facebook group. This is a group that people will need to subscribe to in order to see additional content from me. I’ve delayed doing this for some time now because I simply don’t have the time to add additional content to this. But, I’m kinda hoping that with my new batching technique of scheduling tasks at specific times and doing certain tasks that are related together, that I will find the time to do this. I’m not expecting to get any great results on Facebook organically – it’s simply just part of the process of getting micro-content out there. Going forward, I think Facebook is going to be the platform you use for ads and I predict that it will become a lot more expensive in the future as more and more people migrate to this platform that has so much traffic. I have kind of a love-hate relationship with LinkedIn… I suppose “hate” is a strong word, I just don’t know how effective it is for my particular type of content. I’ve received a few leads and also a few customers by posting content on LinkedIn but these are few and far between when compared with SEO, for example, or even paid advertising. So, my strategy is going to be the same as the previous ones I’ve noted; it’s going to be a place where I post a lot of micro-content. I’ll probably up my game when it comes to using video since these get noticed more in somebody’s stream. When I wrote the header ‘Snapchat’, I had a chuckle to myself because I’ve never, ever used it, never saw any reason in using it and have absolutely no idea how it works..! All I know is, Facebook via Instagram have been copying its features. I ignored this platform for good reason. The demographic is extremely young and didn’t really fit in with my business model at the time, however, because I’m looking to chronicle my journey in making money online and growing my business online, I think that I need to start using Snapchat as a way to tap into this younger market. I have no idea how I’m going to use this so I’m just going to read a few books and watch a few YouTube videos to get my head around using it. I don’t know whether it’s worth using and it’s probably a bit of a long-term play like SEO is, really. What I will do, though, is keep updating this article to show you the progress I’ve made. Like most people, I have dabbled with Pinterest but never took it seriously. As from today, I’m about to see what we can do with Pinterest with regards to joining and building communities. I’m also changing the way I display my featured images (at the top of the page) (kinda). WordPress automatically inserts your featured image at the top of each post and page. However, no one can share this image easily and it’s not exactly designed to be pinnable. So, I have decided to change the settings in WordPress so it only shows the featured image of my blog page and decided to produce a new pinnable type image (like you see at the top) instead. That way, my readers will be encouraged to pin this image instead of the original image you see in my blog listings (I hope that makes sense)? I’ve never live-streamed anything in my life and this is going to be completely new territory for me… A little scary but also exciting! I haven’t done live streaming before, not because I didn’t want to; it was more because I didn’t have the time. I truly believe that this is one of the most important parts of social media that every business needs to use in the future. Having the ability to communicate to your community, your followers, your prospects, your future leads is so important and is something we couldn’t do 10 years ago for free. I don’t really know the time-scale of when I’m going to start doing this; all I know is, it needs to be a major part of my traffic strategy and also building trust and authority within my marketplace. This article isn’t really supposed to be that educational (well, not intentionally, anyway). It’s more a chronicle of my story in the way that’s transparent. That’s why I’m putting it down on paper (or screen) so it will hopefully keep me accountable. Feel free to bookmark this page (I’ll be updating regularly).